My second Margo Lanagan's collection of short stories. While enjoyable, it is less compelling than Red Spikes. 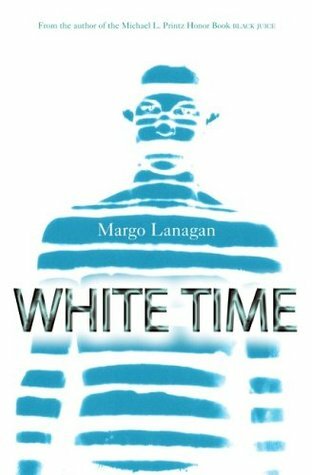 First, unlike Red Spikes which had a feel magical realism throughout, White Time is a blend of genres - it consists of sci-fi, fantasy and distopian stories. It makes the collection a little uneven. And second, a couple of stories are just a little too sketchy for my taste and not very successful in bringing their points across - "Welcome Blue," for instance, a story about the arrival of aliens who get attracted by a certain shade of blue (what?). On the other hand, some stories are fantastic and have enough "meat" in them for full-length novels. For example, "The Boy Who Didn't Yearn" is a tale of a girl who has a special ability to see the hurts people carry around, be that someone's death, or parents' expectation, or guilt. She helps people to realize and deal with them. The story is the girl's journey to uncover what her own "baggage" is. Sign into Goodreads to see if any of your friends have read White Time.